Keeping your wedding plans on track and organised can be tough when you've got a million and one things to get done. Our brides use a few different wedding planning books, so we've shared the best ones we've seen here. As someone who likes to think they're super organised, the first thing I wanted to get when my other half (now my husband) proposed to me was a book to write everything down in! The week that followed our engagement, I had so many ideas in my head about what we would do, who we would invite, the colour scheme and so on. All these ideas were great, they were all going through my head... and then leaving my head almost as quick! Cue the wedding planning books. 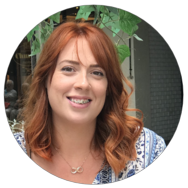 There are so many wedding organisers to choose from and they're all so pretty, and so useful in their own way. I'll share the one that I used the most, as well as a few that our brides have shown us recently. You too can be a Monica! The most organised wedding planner the world of Friends ever saw. What to look for in a wedding planning book? These are the things I really used the most, especially the appointments one. Keeping track of your meetings with suppliers is essential. You may have a few different books, but you'll want to keep your best ideas all in one place, and if you're outwedding shopping, it's easy to whip out your book and add a new idea. This is the one that I used throughout planning our wedding, and one that many of our Brides use too as we see them come into the shop, we know they're the brides who mean business! I liked this one as it had loads of little pockets to keep receipts in, which kept me even more on track. Each section has to-do's and checklists which prompt you to do things you may have otherwise overlooked, such as arranging the gifts for the bridal party. The plastic and paper pockets were nice too, as I used this at a wedding fair, so each supplier that I met and liked, I kept their business card or leaflet in the book... if I didn't like them so much, the leaflet went into the bag, so I could still look through later. This one is on Amazon with loads of great reviews, if you're lucky and get this as a gift, then I would definitely recommend this one to use. Really well laid out, the pockets throughout the book are so useful for keeping ideas without needing glue to stick them in! It could have done with more sections or additional pages, but these are actually available separately. Definitely my favourite, and the brides I speak to weekly also like this one too. One of our Brides recently brought this with her for her dress fitting, and it's a beautiful planner. It's very elegant, and the information included is just excellent. I like the fact that in the music section for example, you can list your preferred DJ/Band/Singer and it gives you a stock list of questions to ask. So you have three live bands for example that you've asked the same questions, you can now look back and compare before making a decision. 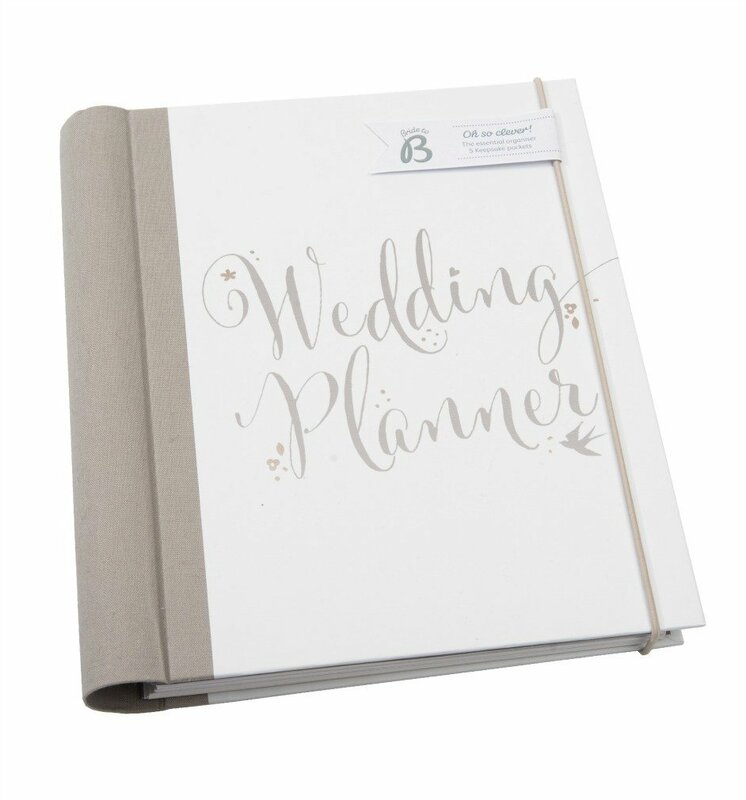 The only drawback that our bride mentioned, is that it's a planner for 12 months, and she had been planning for around 2 years, but she transferred all the info in that time, and didn't think it was too much of a problem. I love the elegance of this planner, and had I have had this given to me, I definitely wouldn't have minded! See this for yourself on Amazon, although there aren't as many reviews, it does currently have a 5 star rating and some great comments from other buyers. Elegant design, easy to see what you've written and a good size too. Aimed for planning 12 months in advance, so if you're planning on planning for longer, then it may not be as good. A nice planner, and good value for money. If you're into pretty patterned things, then there may be others for you. This book features lots of space to add your favourite ideas such as dresses you like the look of, to venue lists, and again has a great checklist at the beginning for great ideas. The reviews for this book are all very good too and it seems to be a very popular choice for those looking for engagement presents. Zip pocket on the rear ideal for keeping business cards in when visiting wedding fairs. 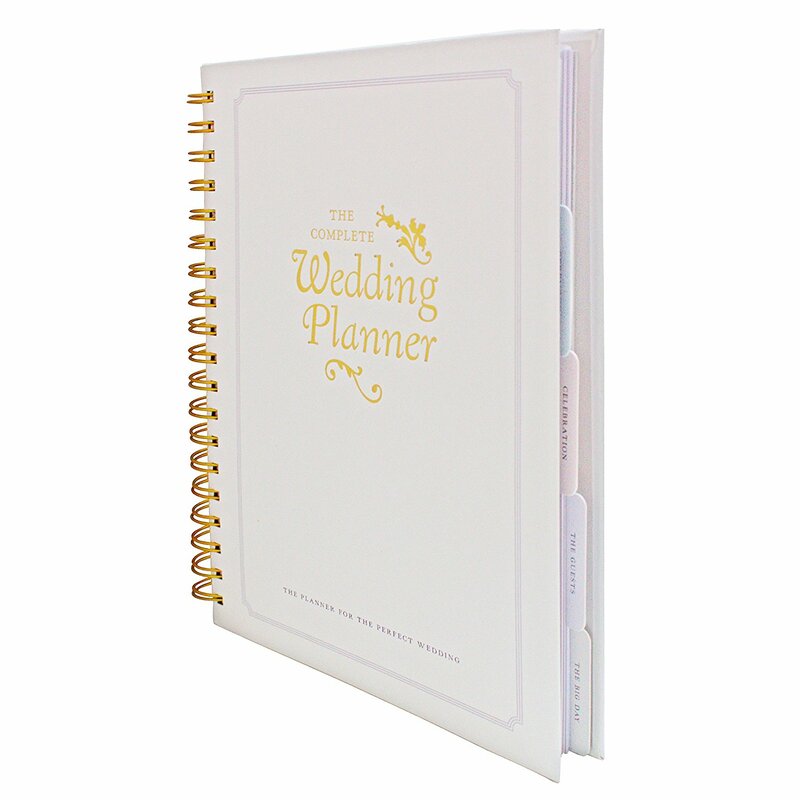 Gorgeous looking wedding planner, available on it's own or as a matching set with Brides notebook. Not enough tabs, and a few things missing that you might expect, such as stag/hen plans are missing, and no section for wedding transport which our bride Sarah did find unusual. Getting a wedding organiser early on is something I definitely recommend. Looking back now, I don't know what I'd have done without one. For the time you're organising everything, it will feel like it's attached to you and you won't leave the house without it. 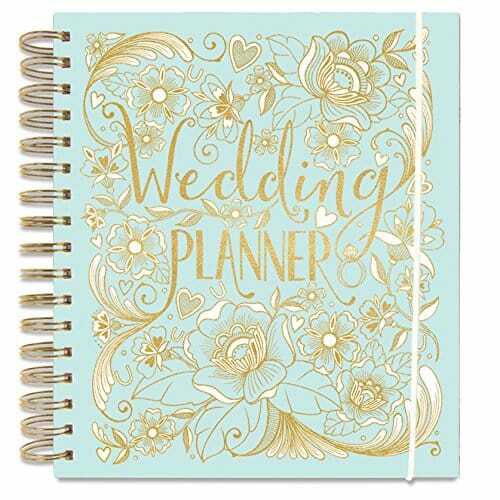 Have a look at a selection of other wedding planners on Amazon, I bought mine from there as it was super quick delivery as well as being a name that you can trust. Do you use a particular planner already? Or have you tried one that you didn't like? Let us know in the comments below.